Gwen tried these different techniques with Harriett during Session 1. They are collected here so that those who are interested in CAT for rats, can contrast CAT to these more common techniques used with pet rats. RAT-C (CAT for rats) holds out the best promise of working with fearful or aggressive rats. The more one uses RAT-C, the less one wants to try these techniques - at least that has been Gwen's experience. In this video, Gwen reverts back to trying some other standard techniques to help Harriett become less frightened. 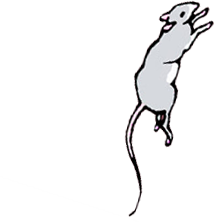 These are shown here for people learning to see how such techniques may not be helpful to a frightened rat.